inoage® looks back at a very successful PALM Expo 2018 in Mumbai, India. MADRIX® lighting control solutions made in Germany sparked an enormous interest at the booth of sole distribution partner IES – Integrated Entertainment Solutions. We would like to thank every visitor for their time and IES for their support. More importantly, MADRX® 5 was very well received by the audience and critics alike. We are incredibly exited to have been "awarded for bringing exemplary innovation in lighting technology and opening up lighting technology creativity opportunities for lighting design engineers" at the PALM Sound & Light Awards 2017– 2018. 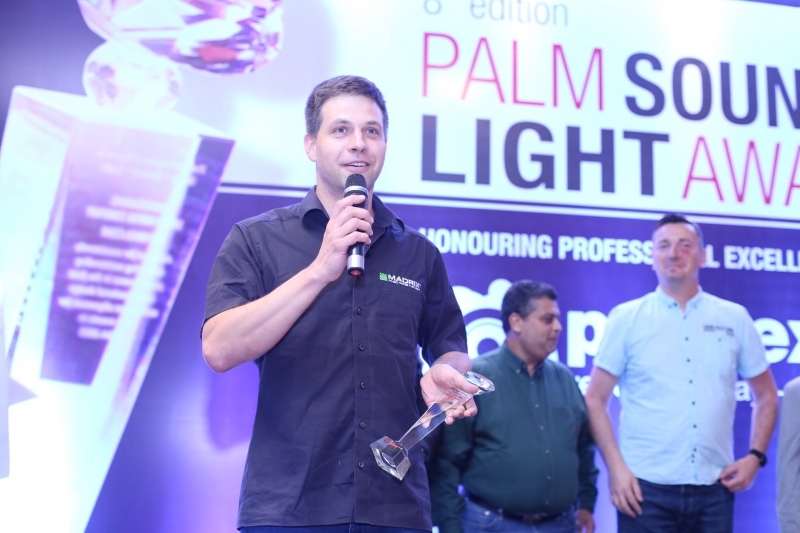 The PALM Sound & Light Awards are an integral platform of the exposition and aim to recognize not only the ever growing Indian market, but products that successfully launched on a global scale and are actually used in the marketplace. 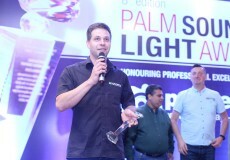 Smita Rai –Project Head of the PALM Sound & Light Awards– adds that the award is "Recognition of a technology which establishes new techniques and trends and is user friendly, opens up lighting creativity opportunities for lighting design engineers and is appreciated by the users."